Community is built on relationships and people develop relationships through frequent contact with others. 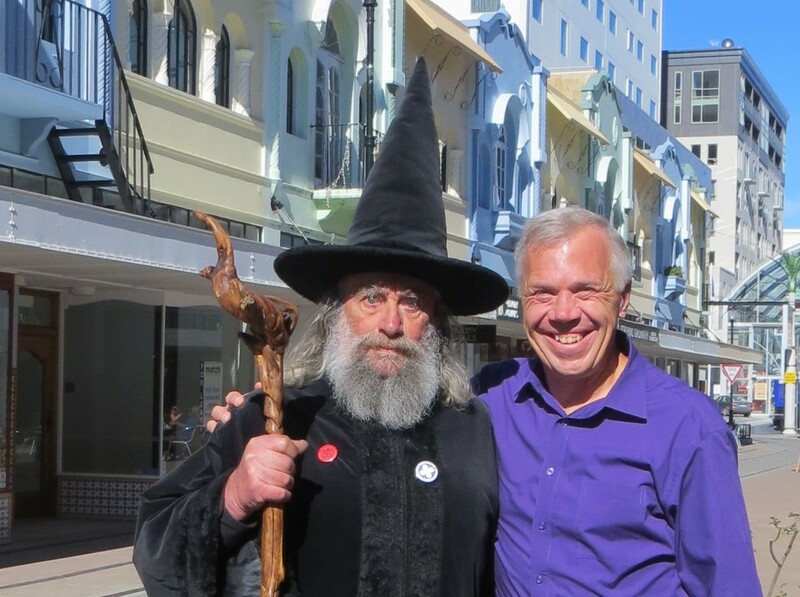 So, if you want to build community, you need places to bump into other people. The closer those places are to where you live, the more likely you are to bump into the same people over and over again. Most neighborhoods have an abundance of bumping places. There are public places such as community centers, libraries, schools, parks, athletic facilities, sidewalks and trails. Local business districts with their pubs, coffee shops, grocery stores and other bumping places can be equally effective. There are also collectively owned gathering spaces such as clubhouses and places of worship. 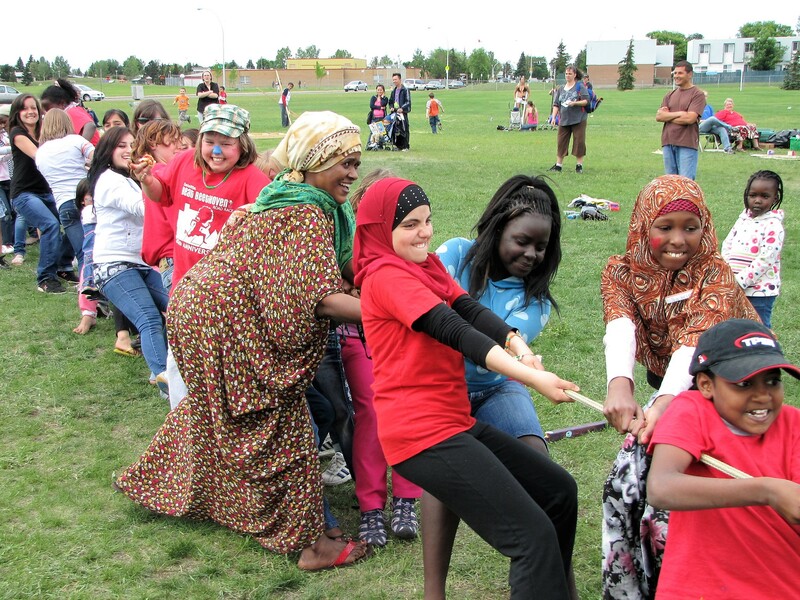 Edmonton neighbors organized activities in their local park to promote bumping. Unfortunately, neighborhoods have been losing their traditional bumping places. Benches have been removed and access to parks and other public spaces has been restricted out of a concern that the “wrong people” have been using them. Online shopping, big box retail and gigantic malls have led to a decline in many neighborhood business districts. Regional so-called community centers are replacing those that were neighborhood-based. The large scale of many new recreation and retail facilities leaves people lost in the crowd and anonymous. An increasingly mobile population often shops, works, recreates, worships, and attends school outside of the neighborhood where they live. People have many different communities, and in a sense, they have no community at all. They seldom bump into the same people in more than one place. Some neighborhoods were never designed for bumping into other people. Bedroom communities are often more friendly to cars than pedestrians. There are no places to shop, eat or drink within walking distance even if there are the rare sidewalks. Residents drive in and out of a garage adjoining their house and have little opportunity to bump into neighbors. Likewise, there is a dearth of bumping places in rural areas, and long distances between houses make it difficult to connect. People are social creatures, however, so there has been a growing interest in placemaking. Rather than trying to prevent people from using public spaces, the new thinking is that safety is better achieved by attracting more people from all walks of life. Business districts are being revitalized by creating a distinctive experience that malls can’t replicate – small scale gathering places, shops and restaurants with a local flavor, personalized service, and community-based events such as art walks, heritage days and parades. The local food movement is bringing us community gardens, community kitchens, farmers markets and other prime bumping places. At the block level, neighbors are reclaiming their streets by painting murals in the intersections, installing street furniture, and periodically closing the street for parties and play. Apartment buildings and condos sometimes have rooms for common use, but when they don’t, a sofa or a table with a teapot might be placed in the lobby or next to the elevator to spark interaction. 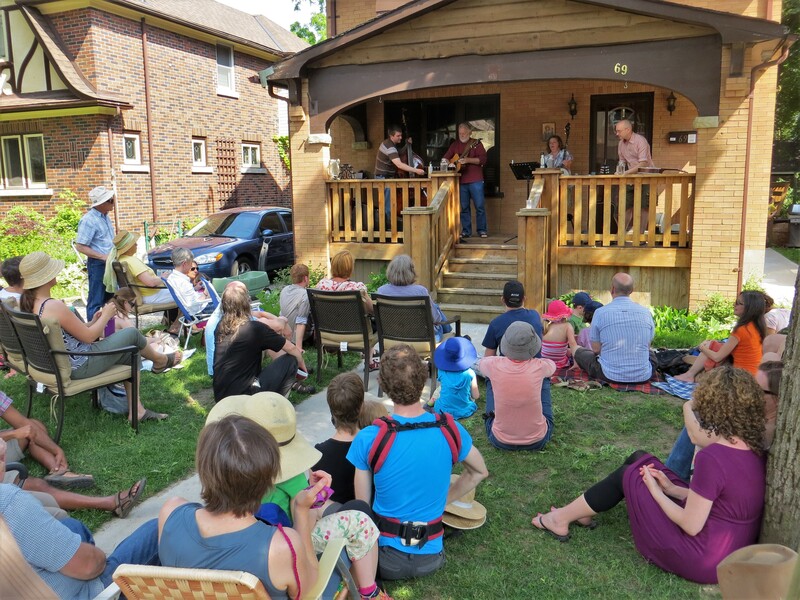 Some people are turning their homes into bumping places by installing a little free library, moving their barbecue to the front lawn, staging concerts on their front porch, or hosting welcome dinners for new neighbors. Creating bumping places in suburban and rural areas can be more challenging, but they also have homes and yards that could be used for gatherings of neighbors. Practically everywhere has a closed or underutilized school, church, grange hall, or other facility that could serve as a venue for community dinners, educational programs, concerts, dances, movies, swap meets, cider making, game nights, holiday parties and all sorts of other events that would attract the neighbors. Portable bumping spaces are another option; some communities operate a wood-fired pizza oven, tea station or espresso cart that can be driven or pedaled to a prominent intersection, popular trail, cul de sac, or other location where people are likely to congregate around it. 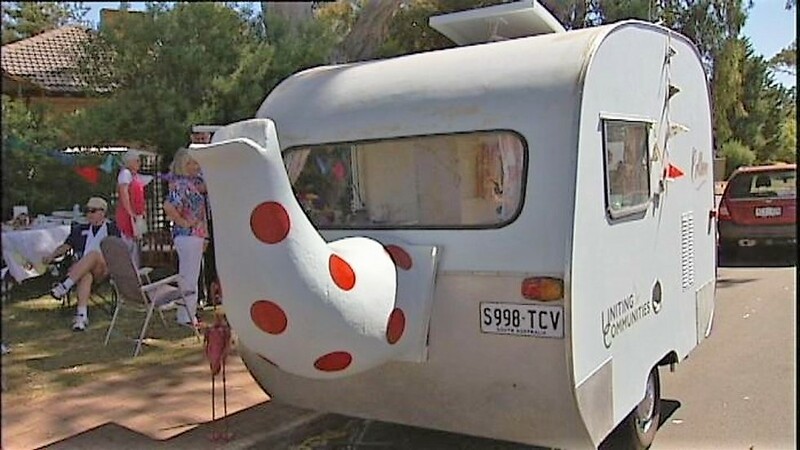 This tea trailer in Adelaide attracts neighbors wherever it parks. 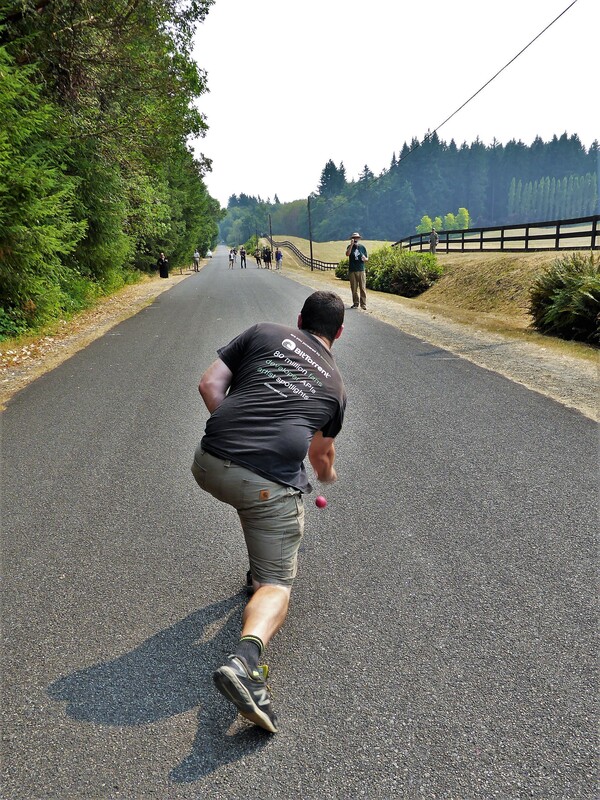 Rural communities like Vashon Island can enjoy road bowling, a bumping activity not possible in more populated areas. Sometimes, though, the only option is to start with virtual bumping. In new suburbs where the housing is being developed more quickly than the public infrastructure, communities have effectively used a Facebook page as their initial bumping place. Contact on the internet can lead to relationships in real life. I’ve heard many stories of Facebook friends helping one another in times of need even though they had not previously met one another physically. If you want to develop an inclusive community, you need to have inclusive bumping spaces. While neighbors typically have all kinds of differences in terms of age, income, culture, religion, politics, interests, etc. they tend to gather with people who are like themselves. To be inclusive, a place should be accessible to those with differing abilities and incomes. To the extent that the place includes signage and art, it should reflect the full range of languages and cultures in the neighborhood. 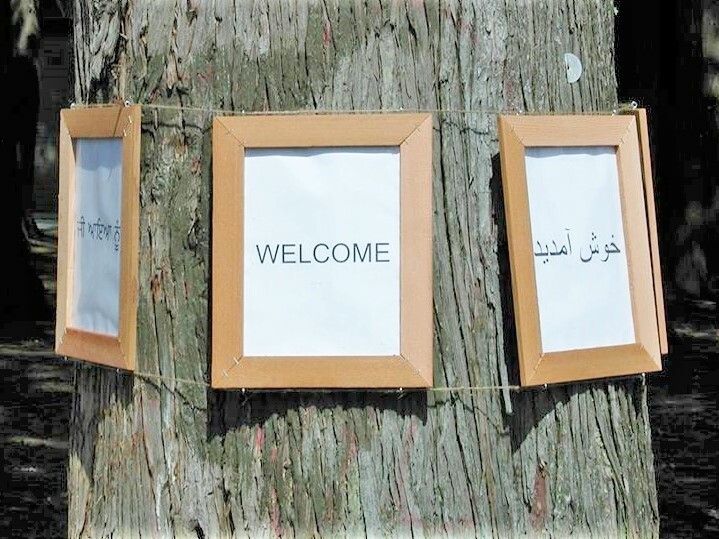 As part of their successful effort to turn a problem property into a vibrant bumping place, Newton neighbors in Surrey, BC hung welcome signs in all the languages of their diverse community. A key reason why places aren’t sufficiently inclusive is because so many are single purpose. They only attract gardeners, basketball players, seniors or whomever the space was specifically designed for. An inclusive place will be multi-purpose. Project for Public Spaces, the premier placemaking organization, calls this the Power of 10. They assert that every place should accommodate at least ten different kinds of activities. Not only will this make the place more inviting to a wide range of users, but it will make it more likely that the place will be used more extensively, at all times of the day and during all seasons of the year making it safer for everyone. 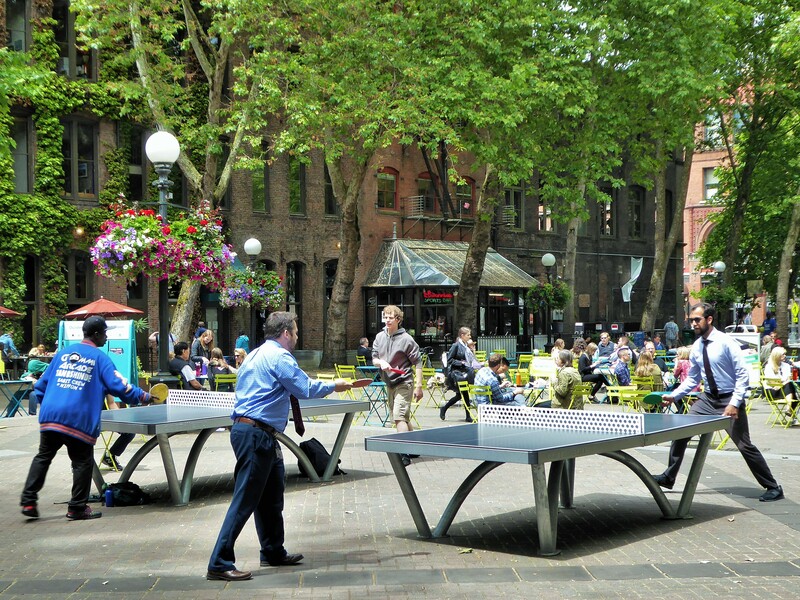 Occidental Park in Seattle's Pioneer Square neighborhood was revitalized by adding table tennis, basketball, chess, bean bag toss, a children's zone, food trucks, music and other activities that appeal to a broad variety of people. Having an inclusive space isn’t sufficient, however. We’ve all experienced elevators, bus stops and other public places that are crowded with people doing their best not to make eye contact with anyone else. Sometimes an intervention is needed to get people off of their smartphones and interacting with one another. Public libraries are a good example. They attract neighbors from all walks of life, but the diverse readers seldom interact except for families during Saturday morning story hours. Increasingly, though, libraries are trying to serve as the neighborhood’s living room. Many libraries have incorporated coffee shops or other spaces where people aren’t shushed. Some have living book programs through which a person can spend time getting to know someone who is different than themself. 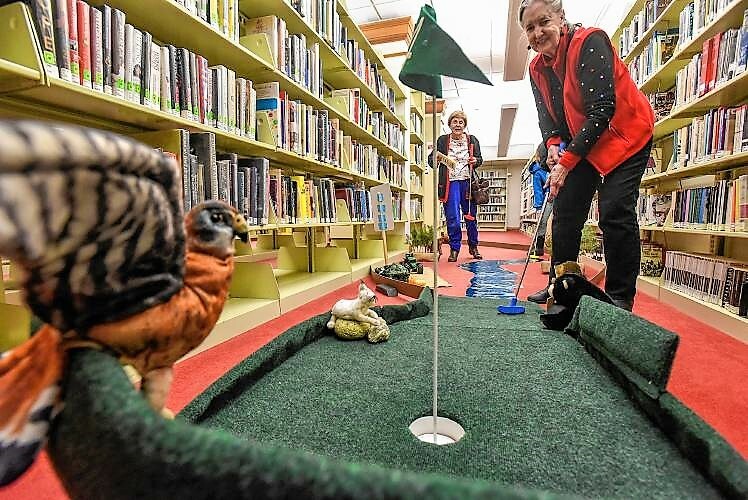 After hours, libraries have hosted sleepovers, concerts and even miniature golf where people putt their way through the stacks of the Dewey decimal system. My favorite bumping places are the ones that are designed and built by the neighbors. These places are most likely to reflect what is special about the residents and their neighborhood, and they are designed to work for the people who live there. Through creating the place, neighbors feel a sense of ownership. They are more likely to use, maintain and program it. These Toronto neighbors built a playground and converted the closed community room in their apartment building into an active center for all ages staffed by volunteers. Of course, it is critical that the design/build process be inclusive as well. All of the potential users, whether they are young or old, business or homeless people, have a valuable perspective to bring to the design process and everyone has contributions they can make to creating a place that makes it possible for everyone to do the bump together. Posted in Uncategorized on April 19, 2019 by admin. The Voorstad neighborhood of Deventer in the Netherlands is a model of asset-based, community-driven development (ABCD). 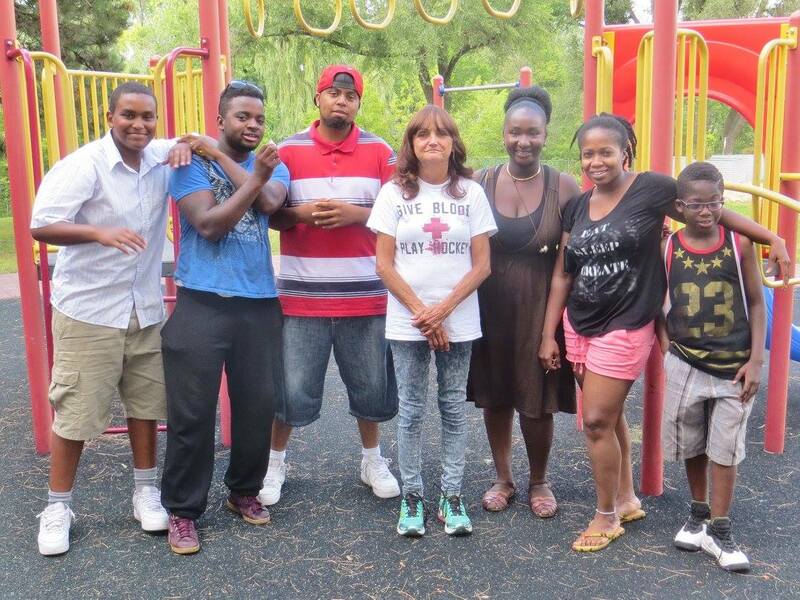 Residents of this lower-income neighborhood have used their own resources to sweep the streets, plant the medians, create 180 street gardens, build parks for people and dogs, operate a welcome wagon, develop a community center, and offer programs for young people. 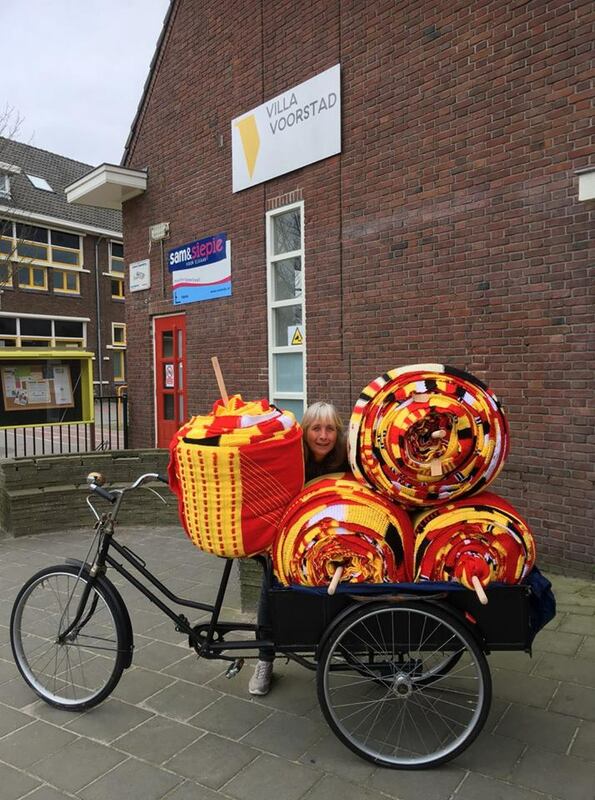 I first learned of Voorstad from Joop Hofman, an amazing community builder who has cultivated an ABCD approach throughout the Netherlands and especially in his own city of Deventer. 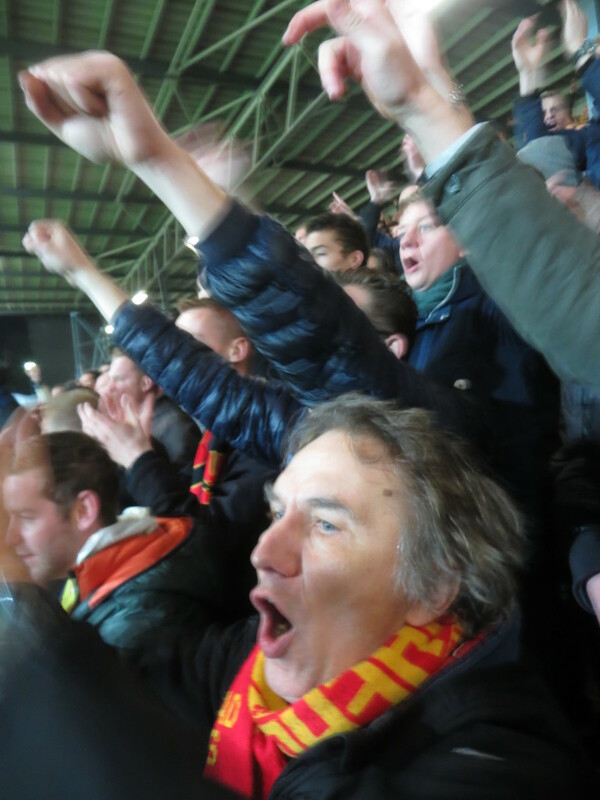 He is also an ardent fan of the Go Ahead Eagles football club whose stadium is located in the heart of Voorstad. 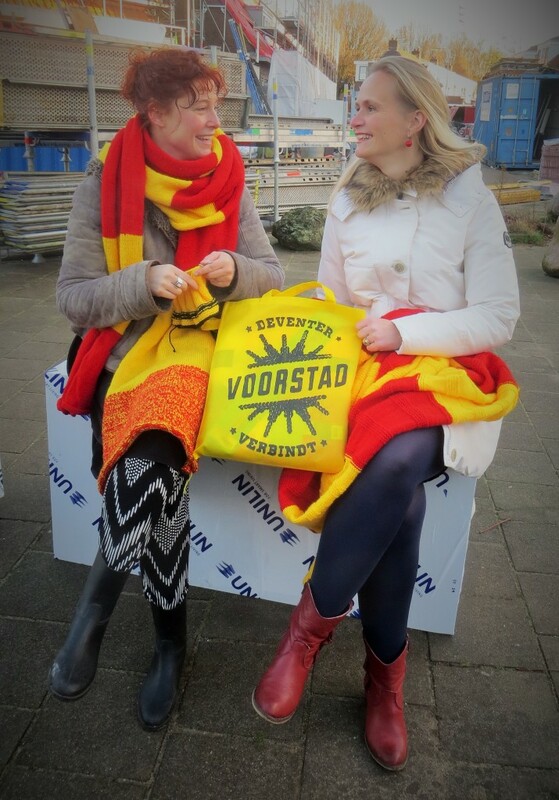 Joop introduced me to Gerlinda Tijhuis, the City of Deventer’s neighborhood process manager for Voorstad. Gerlinda had done a great job of getting the municipal government to pay more attention to Voorstad, but she had also challenged the residents to do those things best done by community. 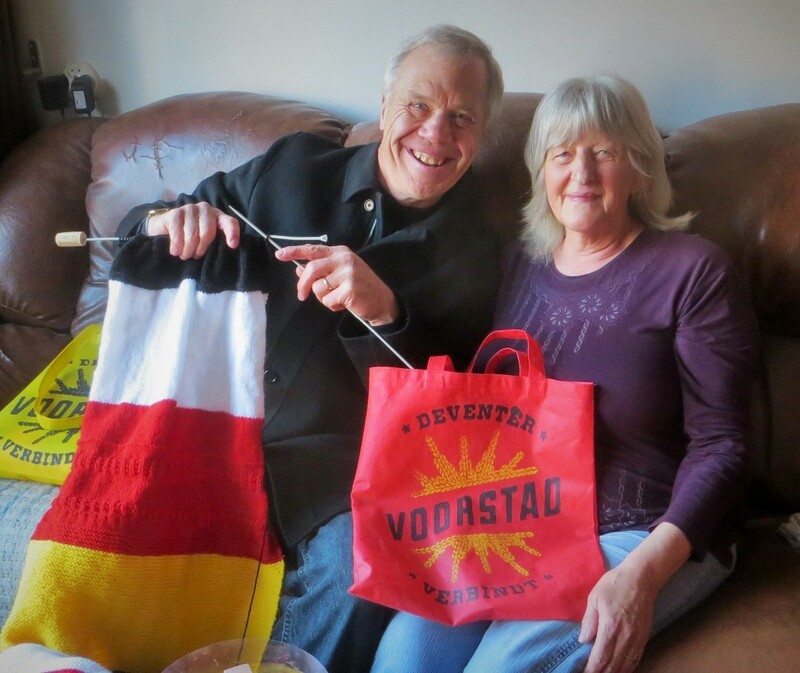 Gerlinda (pictured at the right) took me on a tour of community-driven projects in Voorstad where we met Kim Arntzen (on the left), a resident who had initiated a knitting group. 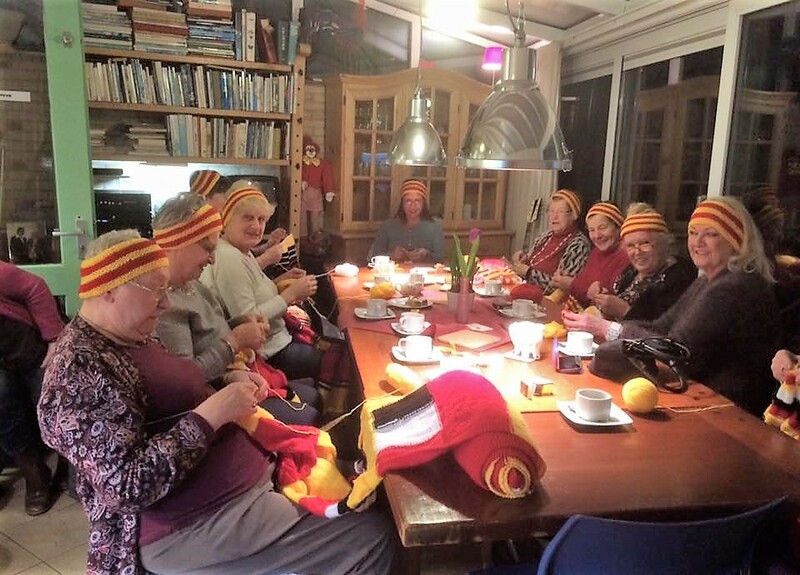 The group was knitting scarves in the red and yellow colors of their beloved Go Ahead Eagles. This seemed like such a frivolous project for such a high needs neighborhood. The scarf project started with ten women knitting around Kim’s kitchen table. As word spread and public venues were added, more and more people joined the effort. Neighbors taught one another how to knit, and the non-knitters provided support. It wasn’t long before about 200 men and women were engaged. As they worked, they shared their stories, challenges and dreams. New friendships blossomed and community was built. People were knitting everywhere – at the community center, in the park, and on the street. 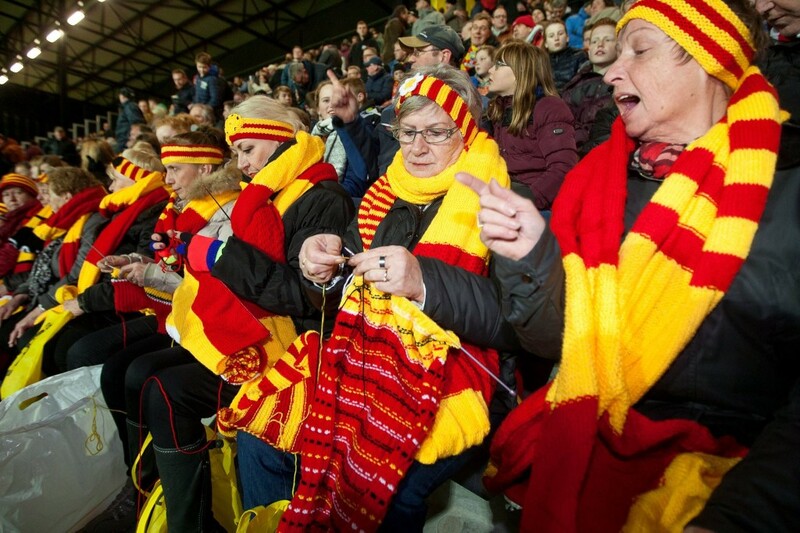 They even knitted at the stadium while cheering for the Go Ahead Eagles. The group started stitching their work together to make one long scarf. 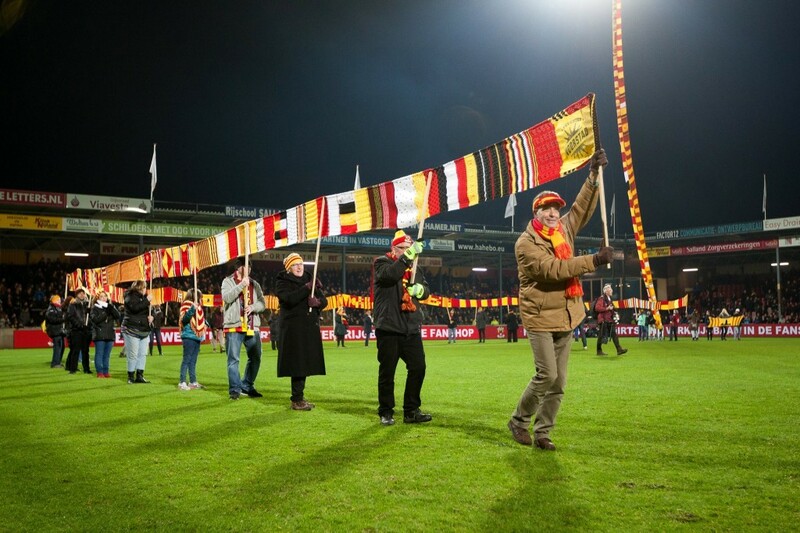 At halftime in the football game, they paraded the collective scarf around the field. It grew longer each game. 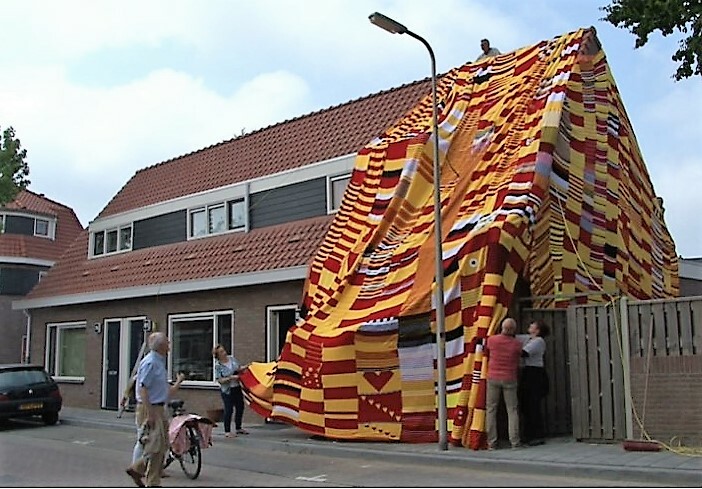 In 2017, they stitched the scarves to create a blanket that covered an entire house. The house they selected was the home of a Syrian refugee family. Wrapping the house in the red and yellow blanket was the community’s way of expressing warmth for their new neighbors. 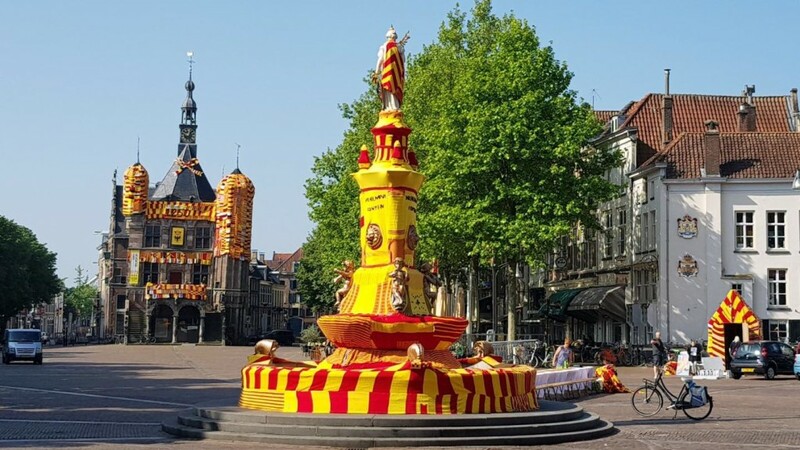 By 2018, the scarf was large enough to wrap Wilhelmina Fountain and The Waag, two of Deventer's most iconic structures. Kim’s vision from the start, which I discounted as totally unrealistic, was to create a scarf so long that they could wrap it around their entire neighborhood. But this week, after several years of work, Kim’s dream is becoming a reality. 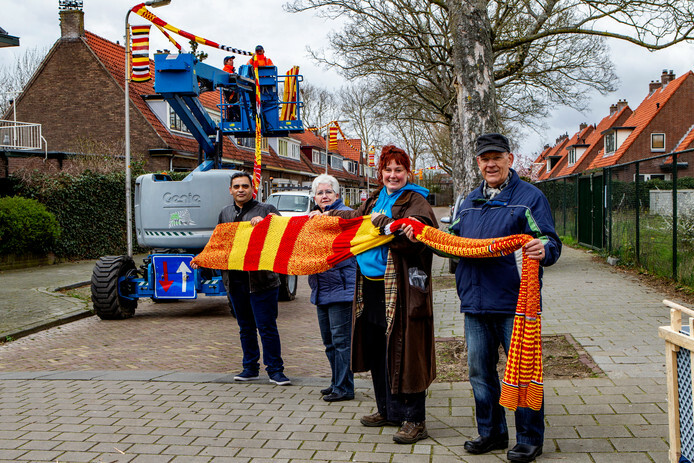 Neighbors are using a cherry picker to suspend their three-kilometer-long scarf from light poles marking the perimeter of Voorstad. The project has instilled the residents with a sense of pride in their neighborhood while knitting them together as one community. The knitting project reinforces an important lesson about community development. Communities aren’t built by outside experts using evidence to come up with solutions to address what research shows are the neighborhood’s most pressing needs. Rather, people come together when they are relying on one another’s resources to fulfill their shared dream. No matter how frivolous it may seem to those on the outside, a shared dream can fuel community. There is nothing frivolous about an inclusive community because that is the key to health, safety, resilience, happiness and mutual support. Posted in Uncategorized on March 29, 2019 by admin. Posted in Uncategorized on July 25, 2018 by admin. As a proud practitioner of Asset-Based Community-driven Development (ABCD), I’m convinced that every person and every neighborhood has abundant and often underutilized strengths that can be mobilized to accomplish what is best done by community – caring for one another and the earth, promoting health, preventing crime, responding to disaster, creating great places, strengthening democracy and advancing social justice. But, I’m also aware that there is nothing inherently progressive about ABCD. In fact, unless an ABCD approach is accompanied by a strong commitment to social justice and an understanding of what that entails, it has the potential to exacerbate current inequities. Following are some actions to take and pitfalls to avoid on the road to social justice. For starters, we need to stop talking about everyone’s glass being half-full. True, all people have valuable skills, knowledge and other gifts. But, the notion that everyone’s glass is half-full reinforces the myth that we all have the same opportunities. It ignores the fact that privilege based on race, class, gender and other identities gives some people an incredible advantage. The obscene concentration of wealth and mass incarceration of African Americans are two manifestations of the extreme inequity in our society. It’s not enough to be community-driven; we need to ensure that those who are less privileged are in the lead. As many community organizers have observed, “It is those closest to the problem who are closest to the solution.” Inclusive engagement won’t happen unless we are intentional. 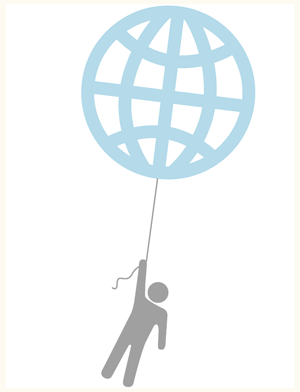 We need to engage people where they are – their networks, gathering places, language, culture and priorities. While emphasizing that there is no substitute for community, we need to acknowledge that there are some things best done by government, not-for-profits and other agencies. Portraying them as the problem aligns us with the right-wing. Similarly, a solely strengths-based approach echoes the conservative notion that people can and should pull themselves up by their own bootstraps. Appropriate professional services are needed, and agencies can be good partners. We must help them work in ways that are more strengths-based, holistic and community-driven. At the same time, we must embrace the idea that a key role of community is to hold government and corporations accountable. Thus, we shouldn’t be content with organizing for mutual support. We must also organize for social and earth justice. The networks built through an ABCD approach could make a powerful impact on external forces, but typically, we miss that opportunity as we focus on self-help. As we work to make our communities stronger and our neighborhoods more attractive, we must recognize that our actions are likely to make local real estate more desirable and thus less affordable for existing residents and businesses. That’s hard to imagine when conditions seem desperate, but that is exactly the time when we need to plan for the future. As we’re working on small projects, we should be consciously building the capacity to establish cooperatives, community lands trusts and other forms of community ownership. We must also organize for a living wage and ensure that government and developers act in the interest of the community, especially those at greatest risk for displacement. Just as it is important for those practicing ABCD to be open to community organizing, my friends who are organizing for social justice would do well to encourage their members to engage in mutual support and other ABCD activities. I’ve found that this is a great way to develop a much stronger base, especially among those people who are averse to meetings and conflict. Then, when it comes time for the fight, the members of the organization don’t have to yell so loudly because they have the whole community with them. Including an asset-based approach also provides opportunities for members to sustain their relationships with one another during those times when they aren’t involved with an issue campaign. ABCD and issue-based organizing are incredibly compatible, but few organizations utilize both approaches. And, just as communities need to find ways to partner with government and other agencies, it is incumbent on elected officials, civil servants and not-for-profit staff to step back and make room for community. Ironically, many of my progressive friends are some of the biggest obstacles. They seem to think that people’s welfare is tied exclusively to rights and services, and they fail to acknowledge the vital role of community. It is a grave injustice when people are treated only as clients and customers and not as citizens with gifts and capacity. Government officials often have a paternalistic attitude towards the community and don’t sufficiently value its knowledge or trust its judgment. They have a skewed sense of power and guard it selfishly while failing to recognize that power is infinite and grows as you give it away. Social justice has always depended on the power of the people. Now, more than ever, progressives need to act on that truth. Posted in Uncategorized on March 12, 2018 by admin. I like to think of myself as a community builder, but I know that community isn’t necessarily a good. A community is simply a group of people who identify with and support one another. Most communities are one kind of people who share a particular interest or identity. Whether they are nazis, gangs, or gated, communities can exclude and even oppress people who are different than themselves. Communities are at their best when they are inclusive, a quality that seems to be in short supply these days. There is so much stereotyping and polarization with people divided by politics, religion and culture. There is also an epidemic of loneliness as far too many people find themselves at the margins of community. That is why I am particularly passionate about the potential of place-based communities. It is in our neighborhoods and small towns that people with a variety of identities reside. True, some places have become boringly homogeneous, but most places include people with differences whether those are defined by interest, age, politics, religion, income, race, culture, sexual orientation, abilities, employment, or housing status. Our towns and neighborhoods provide a context for a community with a common identity that can encompass many otherwise separate identities. Just because diverse people may live in the same neighborhood, however, does not guarantee an inclusive community. Even in places that are quite diverse, I find that the community groups are less so. Neighborhood associations in Seattle, for example, tend to have a higher percentage of older, white homeowners than does the neighborhood as a whole. Local faith-based groups are typically segregated not only by religion but by race. Youth and seniors belong to different organizations. There is a myriad of interest-based groups, each with its own adherents. While there are often good reasons for people to associate with others who are like themselves, such homogeneity will do little to address the challenges of social isolation, stereotyping and polarization. Moreover, a neighborhood will have negligible impact at City Hall if the activists can’t demonstrate that they represent the multiple interests and identities of their place. Here, then, are some of the lessons I’ve learned about how to build a more inclusive community. Most associations have a very narrow agenda and their community outreach generally involves promoting that agenda. Then, when people don’t join their campaign, they blame people for being apathetic. No one is apathetic. Everyone cares deeply about something. So, if associations really want to get more members, they should spend more time listening and less promoting. Many neighborhood associations in the United States, for example, are focused on land use issues. Then, they complain about how difficult it is to engage tenants. If they listened to tenants, they would learn that tenants are often more concerned about issues such as housing affordability, access to transportation, public safety, and opportunities for their children. In Canada, many of the neighborhood associations were initially organized to build and manage hockey and other facilities for community recreation. Some associations continue to have that focus but find it difficult to recruit new Canadians who may not share their passion for playing hockey or running a community center. 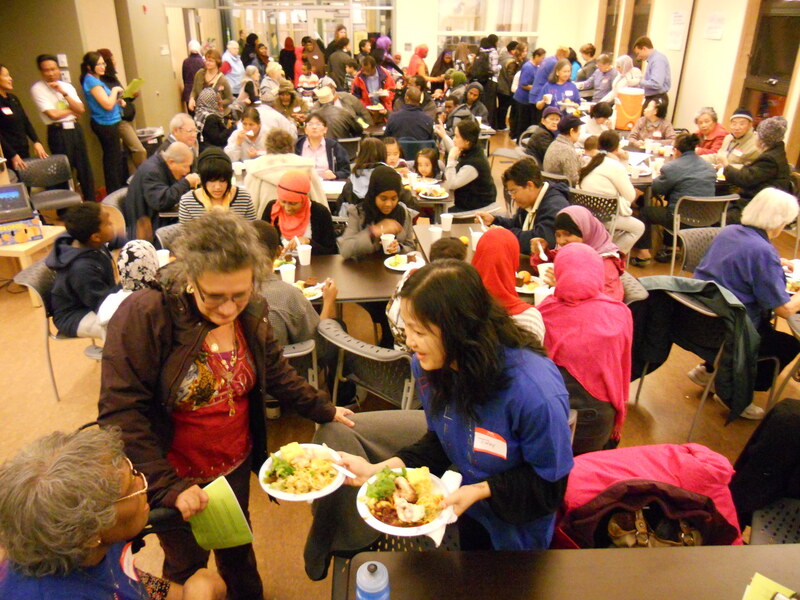 The 157 Community Leagues in Edmonton are taking a different approach; they are co-sponsoring an Abundant Communities Initiative which is training volunteers to have conversations with their neighbors to learn what they care about. Likewise, Sport New Zealand is concerned that fewer people are participating in organized sports and that significant portions of the population are underrepresented in its programs. So, sporting groups throughout the country are taking a community-led approach. In addition to promoting rugby, these groups are listening to community priorities and finding ways to support those initiatives. Most associations rely on meetings as the primary vehicle for engaging their community. While some meetings are necessary, they are probably the least effective tool for engagement. Shy people don’t feel like their attendance makes any difference. Young people (and most others) feel bored. People seldom see results from their participation; one meeting just leads to another. Projects are a great way to engage people. Everyone, including shy people, has something to contribute. Unlike with meetings, projects entail a short-term commitment and there’s always a result. When the Vancouver Foundation’s research revealed an alarming rate of social isolation, their solution wasn’t to fund discussion groups on the topic but rather to support more than 1000 community self-help projects in 17 communities across the lower mainland of British Columbia. Social events can be an even more powerful way to build relationships, especially across differences. 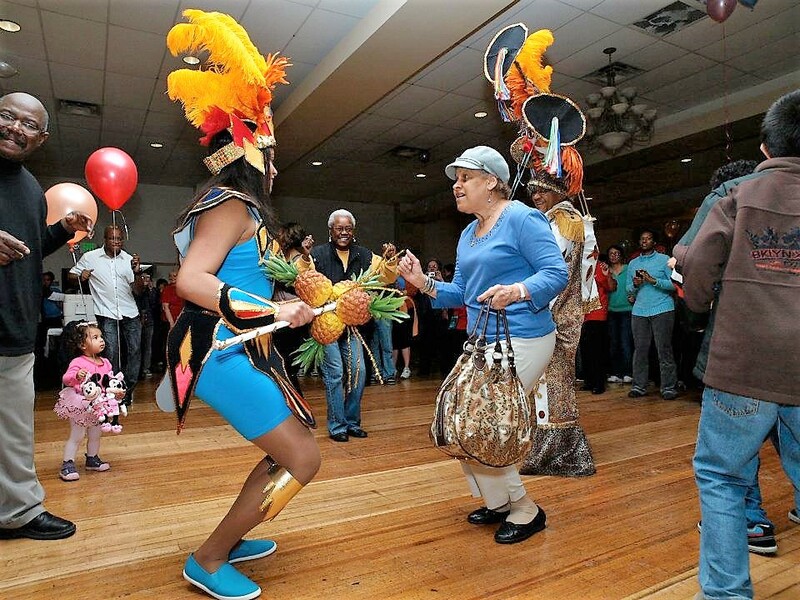 In Southeast Seattle, world dance parties attract hundreds of people from all ages and cultures as they teach one another their dance. Likewise, everyone relates to food. As Pam Wharton of Incredible Edibles in Todmorden, England puts it: “We’re a very inclusive movement. If you eat, you’re in.” Community gardens, farmers markets and community kitchens are wonderful tools for bringing diverse people together. Neighbors across Australia are welcoming refugees by inviting them over for dinner. The power of going beyond meetings is evident in Westwood, a Cincinnati neighborhood of 35,000 residents. The Westwood Civic Association has been faithfully meeting for 150 years and advocating with City Hall around issues of crime, zoning and development. While the Civic Association has played a valuable role in a neighborhood with some very real and continuing problems, there were some other neighbors who believed that the primary challenge was to build local pride and participation across their diverse community. They described themselves as a drinking club with a civic problem when they first got together in 2010. Now known as Westwood Works, their pop-up beer gardens, street parties, art shows, movie nights, Saturday morning walks, holiday events and pop-up shops have engaged thousands of residents from all walks of life. In the process, the neighborhood and its business district are becoming revitalized. A recent survey sponsored by the Vancouver Foundation showed that half of the respondents found it difficult to make friends and that one-quarter experienced social isolation. Similar results are being reported in other cities around North America. What kind of community closes its door to so many of its neighbors? There are many causes of social isolation, but one of the keys factors is that these neighbors are regarded as clients of a service system or even as neighborhood problems rather than as fellow citizens. When we think of some as poor, homeless, disabled, non-English speaking, at-risk, addicted, mentally ill, unemployed or retired, we tend to focus on what that person is missing rather than on the contributions they could make. A truly inclusive neighborhood recognizes that everyone needs community and that community needs everyone. I recently had the privilege of facilitating a workshop for graduates of the Opening Doors Community Leadership Program in Melbourne. The program is for people who are passionate about social inclusion including many individuals who enrolled because they were feeling excluded. Some of the 130 graduates are using their skills as artists, musicians, and thespians to help the community better understand and connect with people who have been labeled by their deficiencies. Others are leading and teaching in the University of the Third Age which recognizes that everyone has something to teach as well as something to learn whether that is a language, a craft, or how to be a better neighbor. Many neighborhood associations recognize that they are insufficiently representative and try to recruit a more diverse membership. The individuals they recruit don’t always feel that welcome, however, because the leadership, agenda, language, culture and relationships have already been established. Moreover, those individuals may feel like tokens with no connection to people who share their perspective. It’s really difficult to get the full diversity of the community adequately represented in a single association. It’s important to recognize that neighborhood associations are one among dozens of groups, both formal and informal, in every neighborhood. There are people organized around culture, sport, religion, labor, education, public safety, service, business, art, music, dance, history, politics, environment, gardening, youth, seniors, coffee, beer, addiction, cards, books, knitting, dogs, birds, and all sorts of other interests. 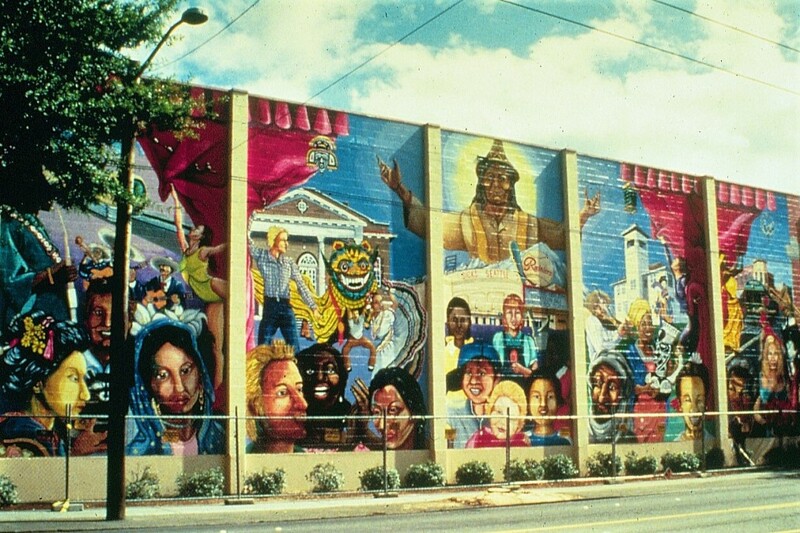 No one group can adequately represent the neighborhood, but collectively, they can exercise real power. Neighborhoods are so much more powerful when everyone is pulling together in the same direction. Saul Alinsky understood this and worked to build neighborhood organizations comprised of local associations such as churches and unions. That’s the approach we used in organizing the South End Seattle Community Organization (SESCO) in the late 1970s. Half of SESCO’s 26 member groups consisted of neighborhood associations and the other half were faith-based. There was a black Baptist church, a white Lutheran Church, a Japanese Methodist church, a Jewish synagogue, and so on. Each faith-based group, with the exception of the Catholics, tended to be pretty homogeneous, but working together, SESCO reflected the full rainbow of the community. It’s probably not possible to bring all of the community groups together, so you need to be strategic. Which groups have a lot of active members? Which groups include people who are currently underrepresented in your association? Meet the leaders of these groups and explore opportunities for collaboration. Don’t limit yourself to working with groups that share your positions on issues. If you can develop consensus with groups that have been adversaries in the past, you can approach City Hall with a united front and be in a much more powerful position. Most important, if you want to be truly inclusive, look for opportunities to support the voices and initiatives of groups representing neighbors who have suffered from racism and injustice. Of course, the power of collaboration goes beyond influencing City Hall. It’s also about building on the respective strengths of each group to accomplish those things best done by community. Perhaps the most important role of community is to find ways to better understand and care for one another. Posted in Uncategorized on December 4, 2017 by admin.